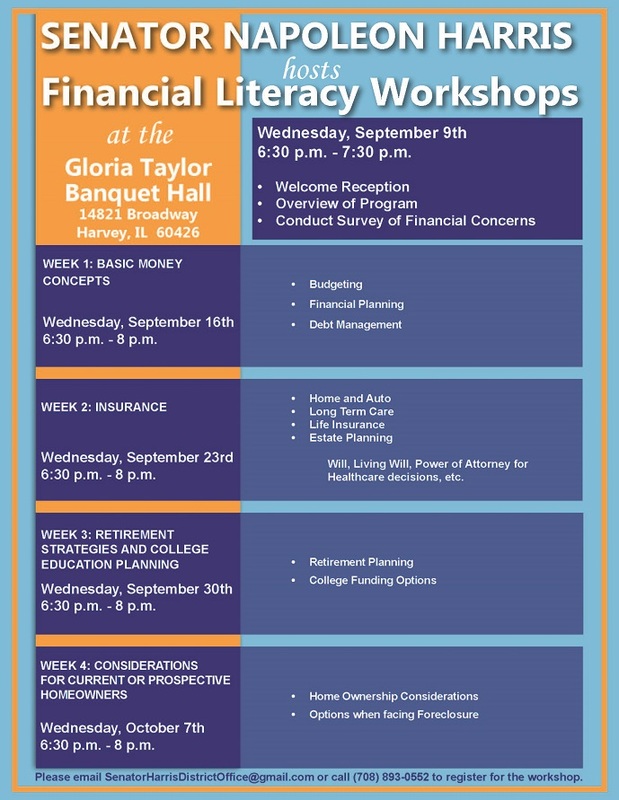 This September and October, I will be hosting a series of financial literacy workshops in an effort to help people in our community better manage their finances. These exciting events cover a wide range of topics that include basic money concepts, insurance, retirement and college education planning, and considerations for current or prospective homeowners. To register, click the flyer.